With his current productions rocking dance floors worldwide, Rotterdam’s Benny Royal, is at the top of his game. Carving out a niche in a highly competitive scene, Benny’s impeccable production skills and energetic DJ sets have made him a highly sought after commodity. Inspired by a love of House music from an early age, Benny broke through onto the scene with the track, Keep on Moving; a Dutch House track with a catchy, tribal beat. Released on DJ Madskillz’ label, the track became a major club hit in his native Holland, garnering support from major Djs, including the legendary Roger Sanchez, who has been a staunch supporter of his career ever since. By 2008, Benny’s career was genuinely on the up. His finely-tuned production skills led to his tracks gaining support from major players in the dance scene and achieving success on the dance charts. Encouraged by friend and fellow producer, Robbie Taylor, Benny submitted an entry for Toolroom Records’ remix competition for Dirty South’s track “Minority”. Of course, Benny’s remix won the competition! This was subsequently a major breakthrough for Benny, as the track became a Top 10 track on the world’s leading download portals. Racking up one of Toolroom’s best-selling track for some months, Benny had finally arrived. Stealth Records, Toolroom Records, Spinnin' Records, Ultra Records, Stereo Productions, 303 Lovers, Nervous Records and Urbana Records. Benny’s productions have seen him work with Kid Massive (UK), Abel Ramos (Spain), Chris Keaser (France), Jorge Montia (Spain), Etienne Ozborne (Canada), Peter Gelderblom (NL), Ralvero (NL) and many others. His track, Let the Beat Hit ‘Em, with Dennis van Der Geest has achieved staggering success hitting #1 on Holland’s biggest download portal Dance Tunes. 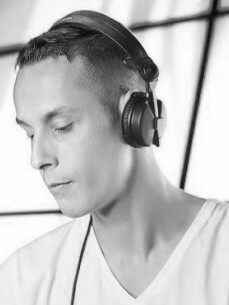 An in demand DJ, Benny has played at numerous events worldwide including: Russia (Khabarovsk, Moscow), Turkey, Curacao, South Africa (tour), England (London, Brighton), Spain, Austria, Belgium, Germany (Official Love Parade after party). Avicii, Steve Angelo, Koen Groeneveld and DJ Madskillz. In addition he has supported Roger Sanchez, playing at his Stealth Records event at Ministry of Sound (UK). Aside for official tracks and remixes, it is his Bootlegs, which have become major successes in their own rights. Most notable is his mix of UK singer Adele’s Rolling in the Deep, which has further bolstered his reputation as an in-demand producer and even gained highly coveted radio play on BBC Radio 1.
he is adept enough to churn out a quality club banger for the commercial club scene. Flo Rida and Lil’ Wayne. Notably, the track, Higher, with Billy the Kit & Nathan Duvall hit #3 in the Buzz Chart. 2013 is kicking off with a bang with his collaboration with Etienne Ozborne on the track, Can You Feel It, getting signed to Zulu Records. With a remix by Abel Ramos, both mixes ended up in the Beatport Top 100, receiving support and accolades from: Fedde Le Grand, Afrojack, Bob Sinclar and Erick Morillo to name a few.